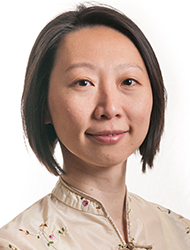 Dr. Tseng is a core faculty member in the Department of Acupuncture and East Asian Medicine at Bastyr University who supervises the community care site at Providence Regional Cancer Partnership. She is not currently accepting patients at Bastyr Center for Natural Health. She also sees patients in private practice in Lynnwood. Dr. Tseng believes that the ultimate goal for health is disease prevention. She facilitates and empowers each individual in the journey to health and harmonious living. Dr. Tseng has been practicing Chinese herbal medicine and acupuncture since 1999 and has completed clinical internships in Shanghai, Beijing and Chengdu, China, plus two years of residency at Bastyr Center for Natural Health. In addition, Dr. Tseng co-authored the book Chinese Herbal Medicine: Modern Application of Traditional Formula by CRC Press, available at the Bastyr Bookstore.